Someone posted a video on Facebook a month or so ago that I ended up watching early one Sunday morning. It was a progression of Tweets from a girl in Canada who had been diagnosed with a brain tumor and died. I went to the girl's Twitter page and read through all of them...and, for just a minute, I fell for it. Immediately I knew it was a hoax. I went back to her profile, looked through her Tweets, noted the complete absence of any personal communication with anyone she might know face to face, and dismissed it immediately. Then a week or so ago, I read something about Munchausen Syndrome and immediately thought of online pranksters who pretend they have some fatal disease (usually cancer) to get attention. My next thought was of Amanda on Twitter...so I went in search of more information. Another month had passed, so SURELY by now someone had seen the viral video of the Tweets (which now has 950,000 views) and come forward to say, "Hey, that's Amanda So-and-So." Still nothing. 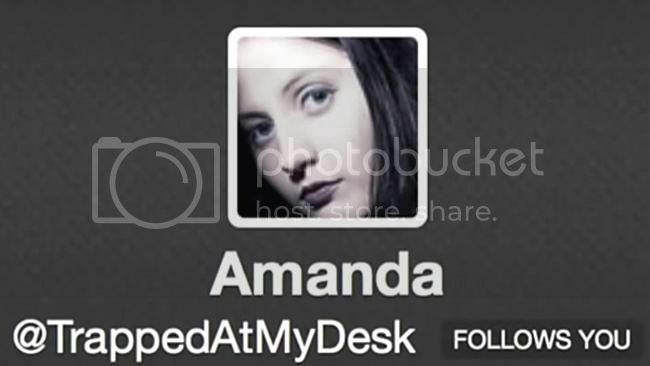 However, a very enterprising journalist named Jennifer Mendelsohn went to some major investigative work to determine whether Amanda was a real person or not. If you read through her article, you'll find that 1) nobody died of cancer in Ottawa on that date; 2) doctors can easily poke holes in her claims of a three-day brain cancer diagnosis, and 3) of all of her followers who responded to Mendelsohn's e-mails, not a single one had ever met Amanda in person. Mendelsohn questions whether someone with Manchausen by Internet (yes, that IS a thing!) would be so low-key about it. My answer is, YES. In the MySpace heyday, I was very active in the blogging community, which sounds geeky but we were a large group of avid readers. Many of us averaged daily views of our blog in the thousands. Why do these people do it? I'm no psychotherapist, but I think we all have known people who feign illness for attention. They don't have to have millions of followers on an online forum. It could just be the people they work with--six or seven people. I once worked with a woman who had 12 separate conditions she mentioned at one time or another. She just wanted attention. I read somewhere once that sometimes these people grew up with a sick sibling and learned that was how you get attention. They spend their lives trying to make up for the attention Mom and Dad never gave them. The practice is so rampant on social media, someone has created a Ripoff Report for a woman who has made a longtime habit of pretending to be something she isn't online. Cancer seems to be a popular fake diagnosis with these people. Is Amanda fake? I not only think so--I'm 99 percent certain of it. But if you feel you can get inspiration from reading her Tweets, who cares? She doesn't want anything but attention. I am still curious where she got her profile picture, though. One would think at some point, someone would at least recognize that.